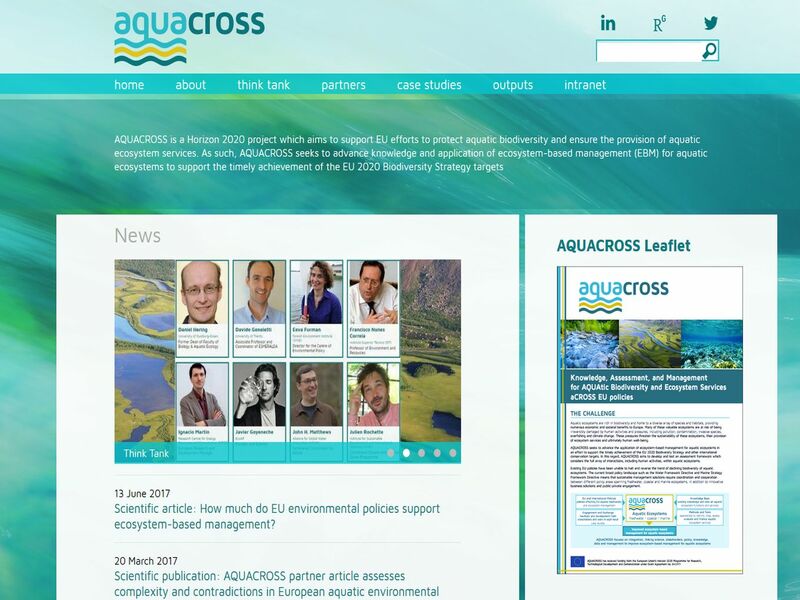 The AQUACROSS website provides information on the AQUACROSS project, approach and case studies. Project outputs such as deliverables, policy briefs and publications are regularly promoted on the website. Ecologic Institute is responsible for the concept, design and programming. AQUACROSS is a project which aims to support the EU efforts to protect aquatic biodiversity and ensure the provision of aquatic ecosystem services. The project seeks to advance knowledge and application of ecosystem-based management (EBM) for aquatic ecosystems to support the timely achievement of the EU 2020 Biodiversity Strategy targets.